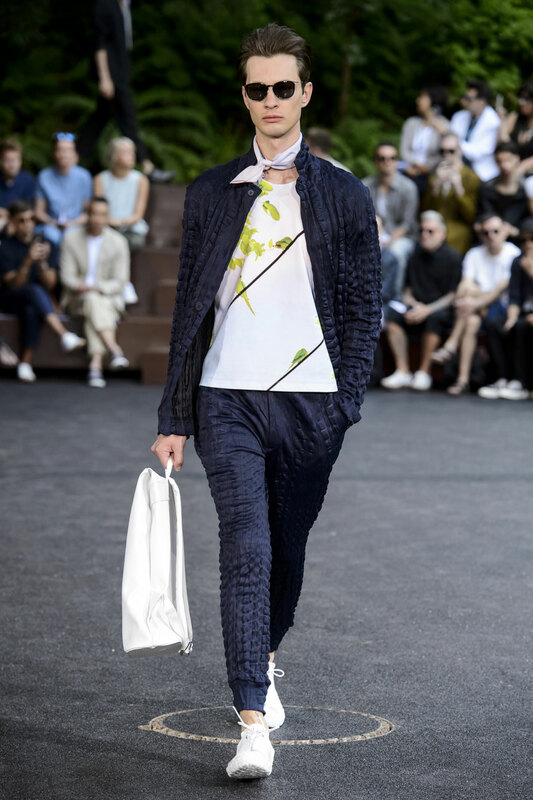 This collection is by far the epitome of spring/ summer, Miyake has constructed a variety of pieces that are effortlessly picturesque. 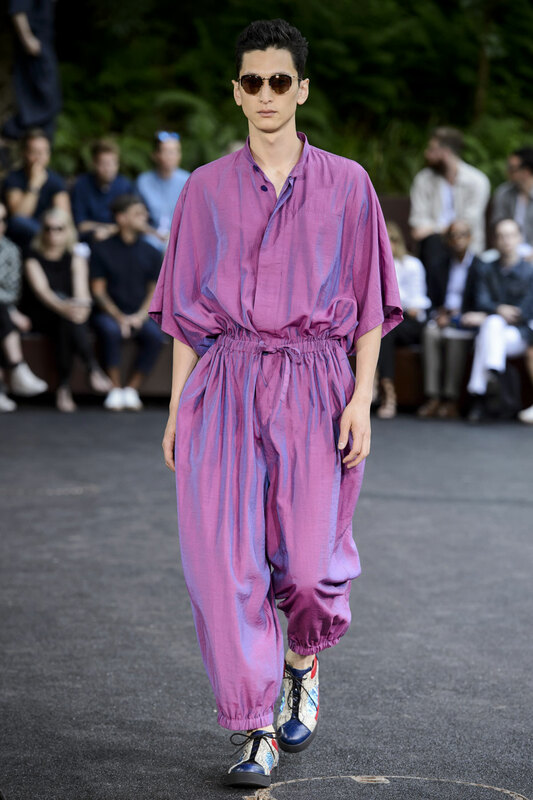 It’s exciting to see some interesting and varied use of colour come out of this seasons fashion show; Miyake embraces the spirit of the warmer months and provides us with endearing pastels as well as an alternative of the bright and the bold statement colours. 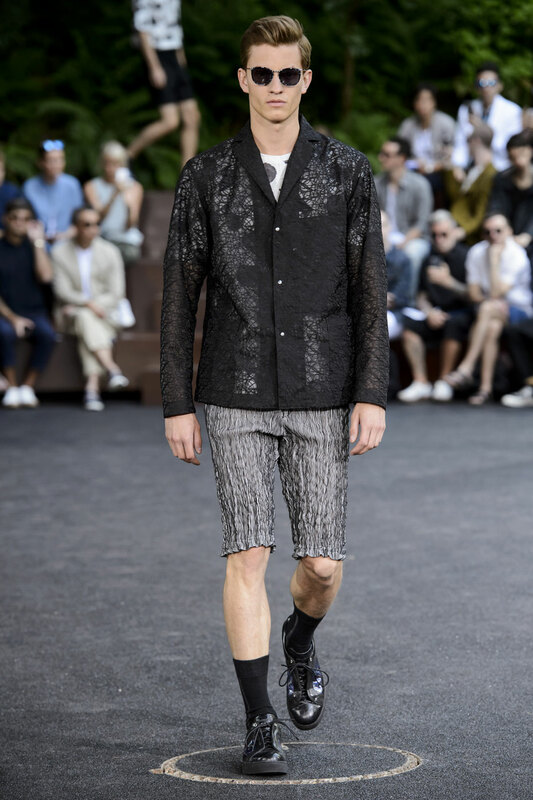 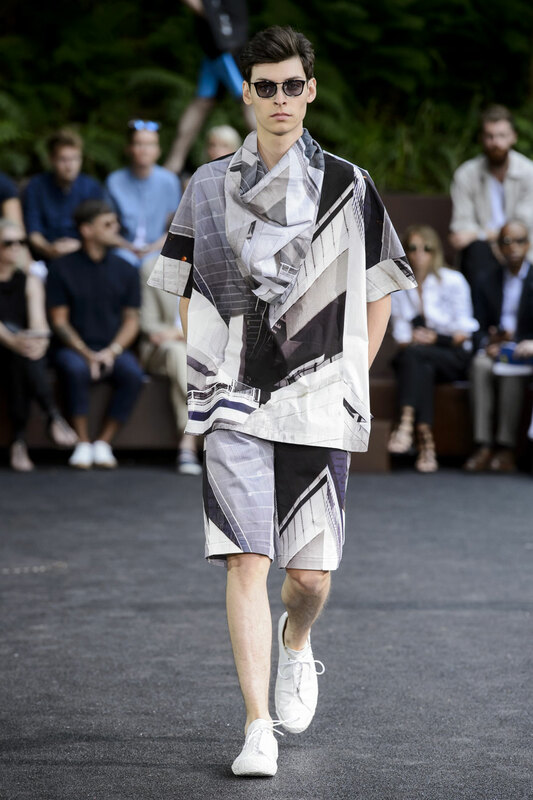 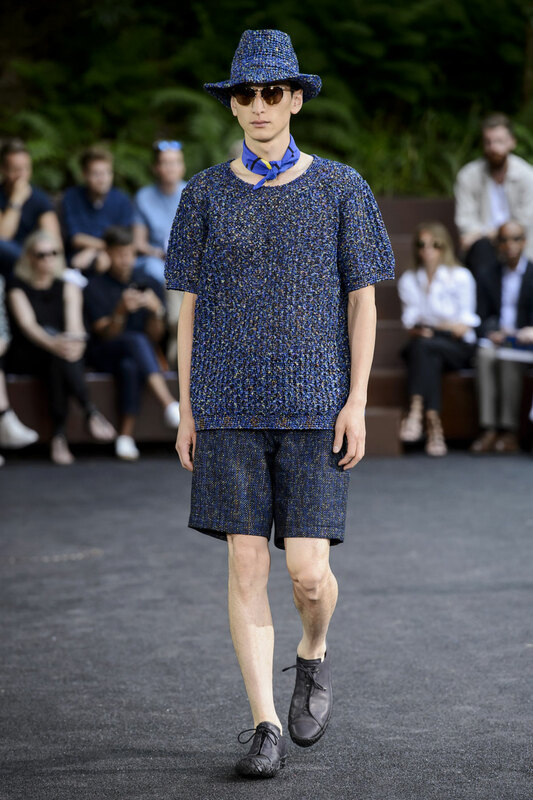 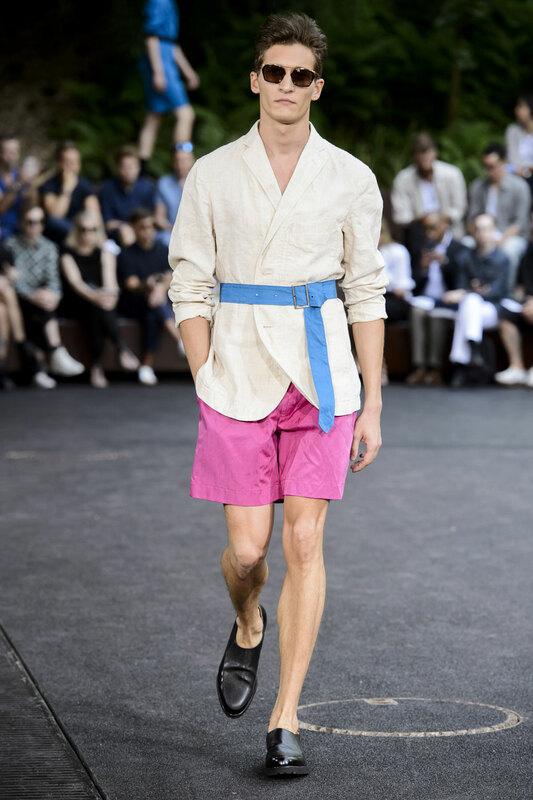 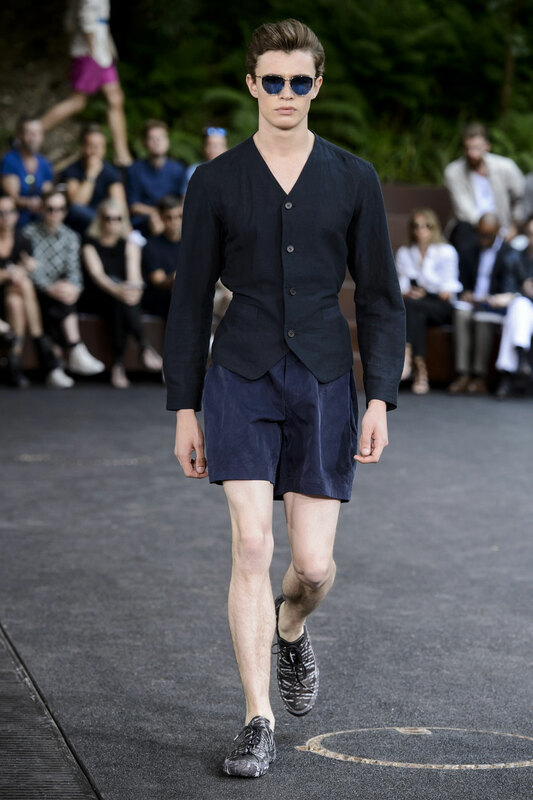 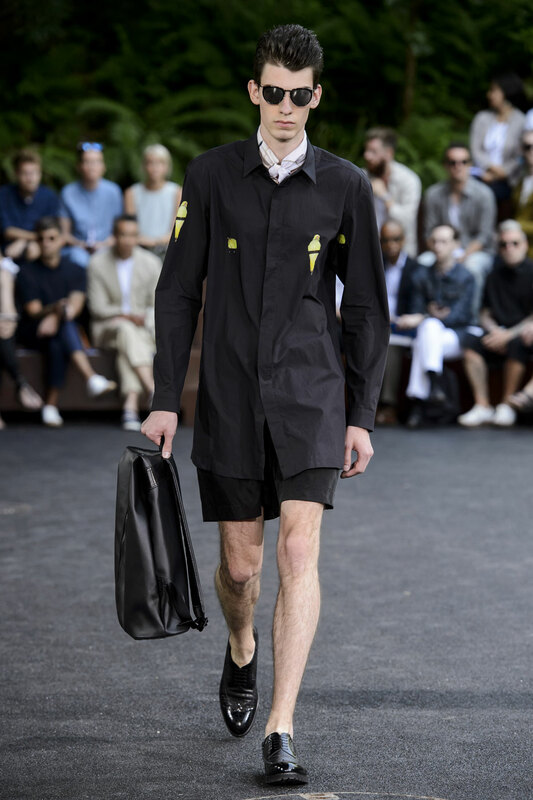 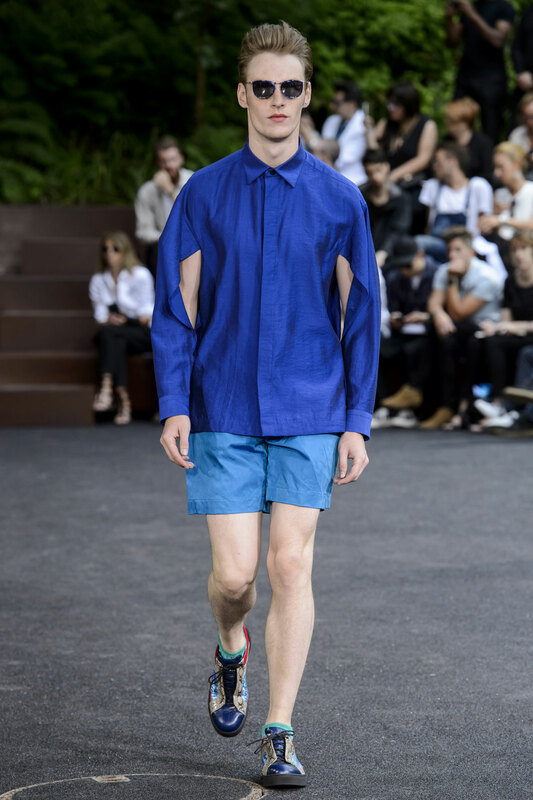 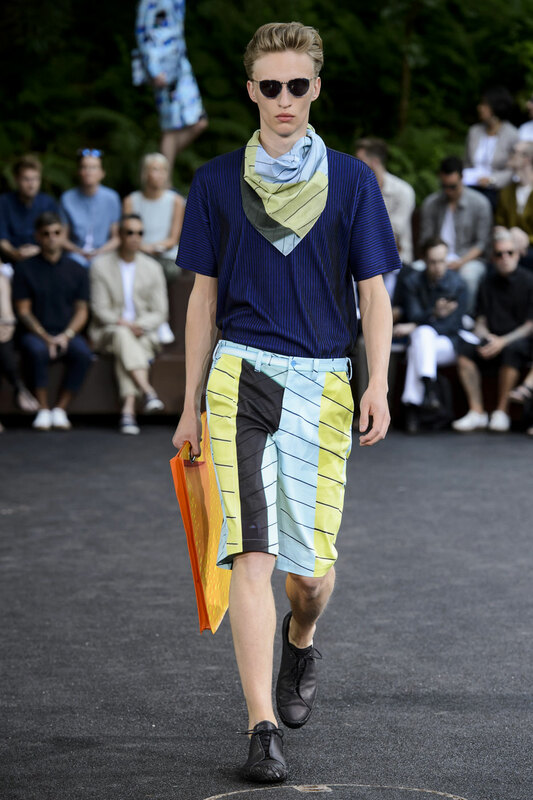 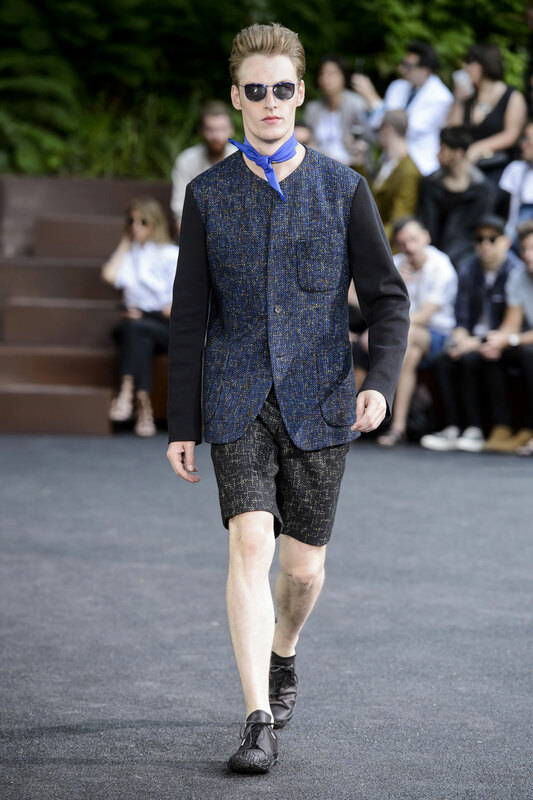 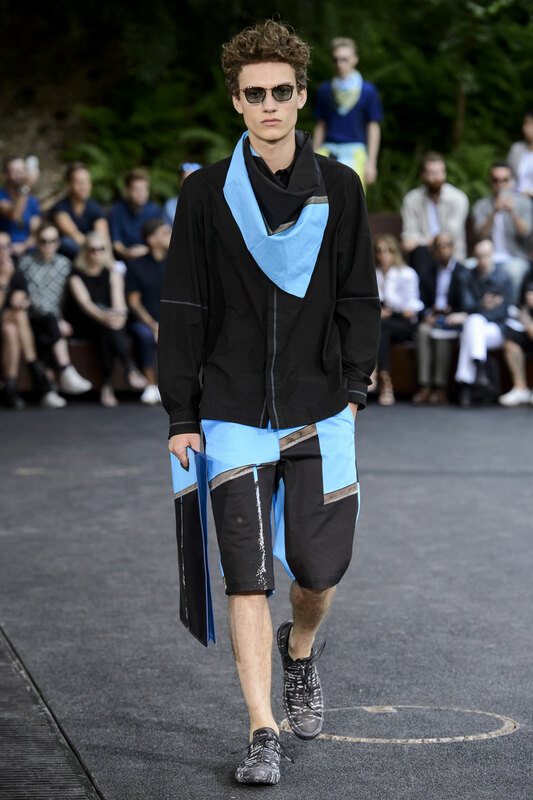 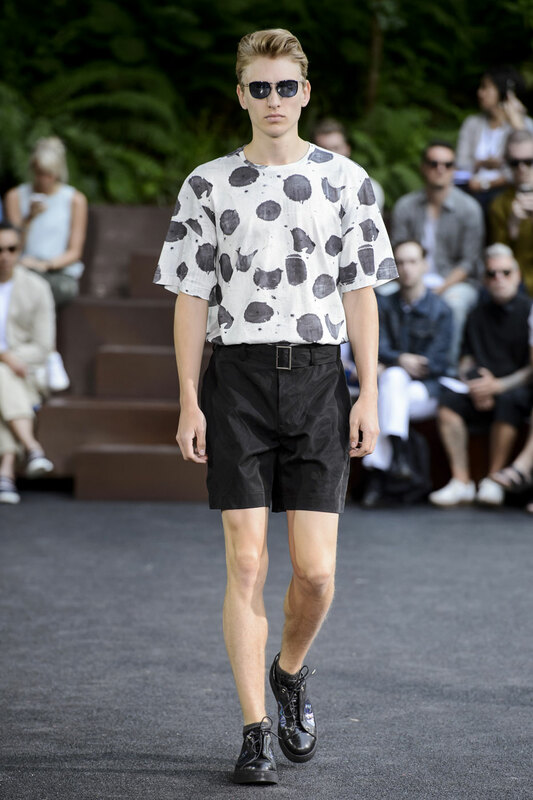 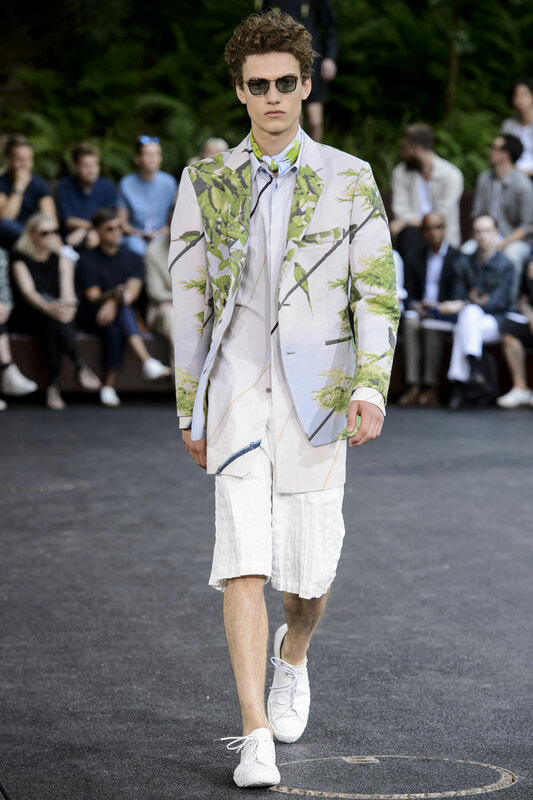 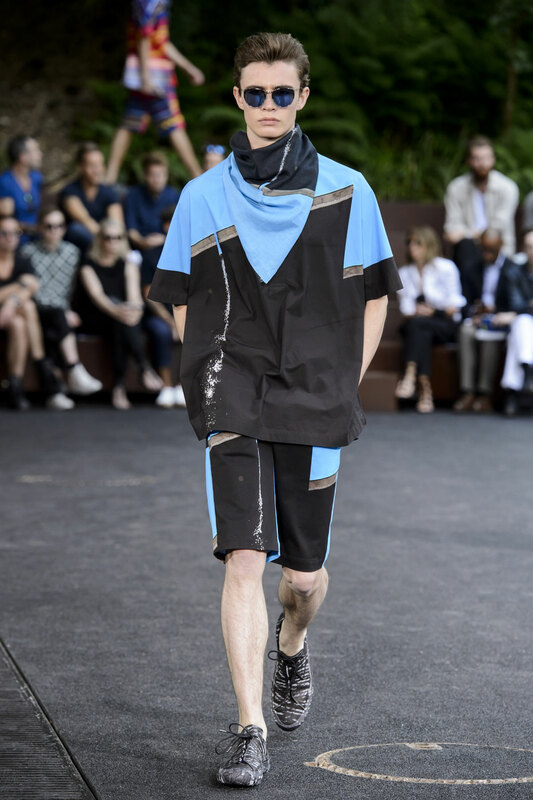 Miyake offers some softer colour combinations as well as the daring contrasting colours. 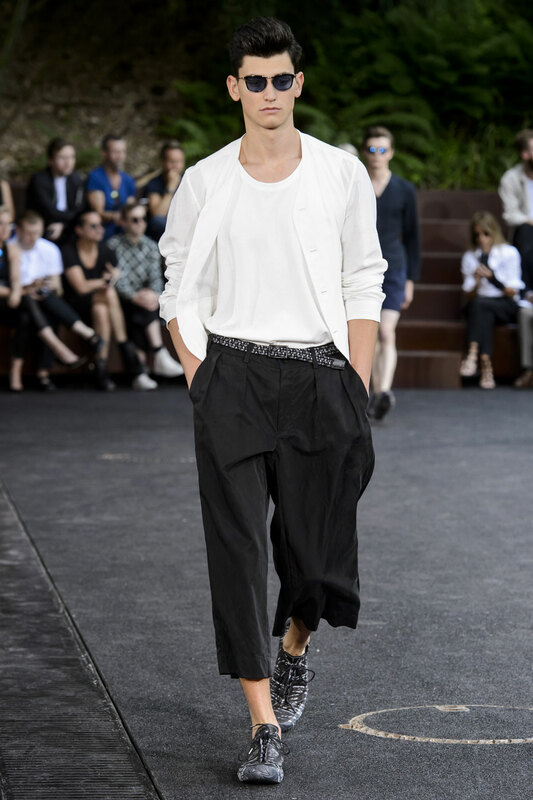 The entire collection exudes simplicity, however certainly not boring. 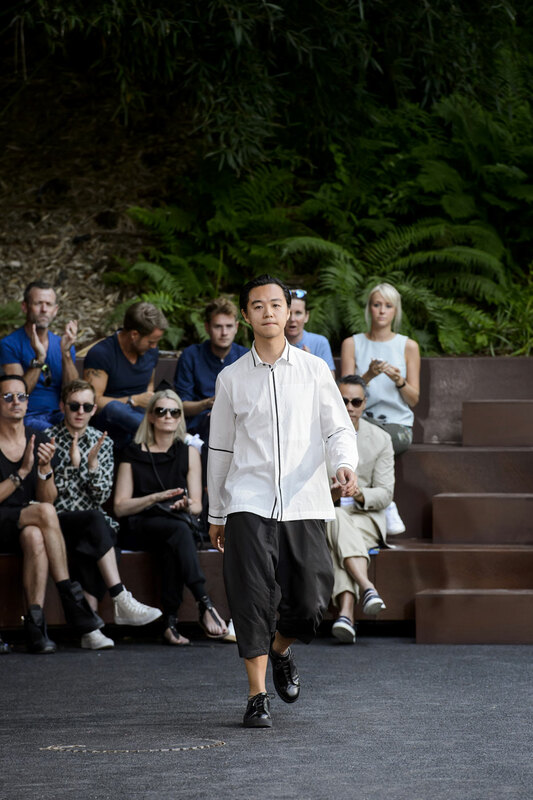 The simplicity is what contributes to its allure; the cut, shape and fabrics used in the collection all create a sophisticated yet relaxed aesthetic. 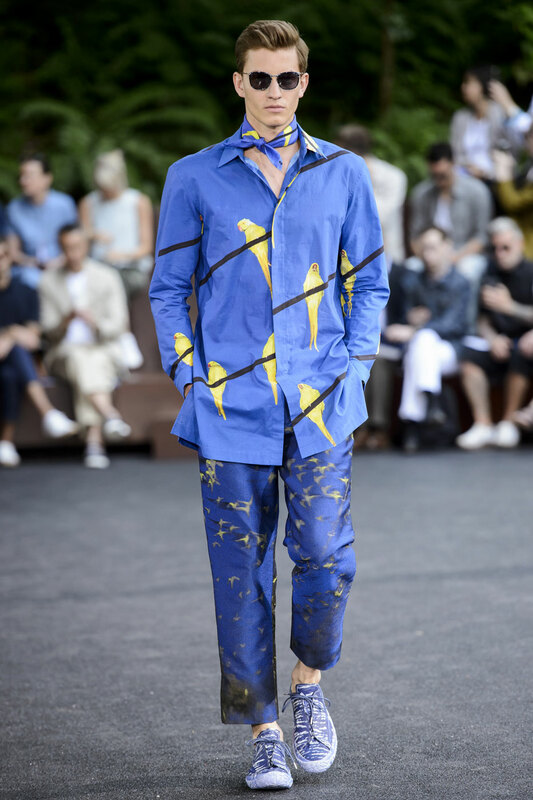 There are an ensemble of fabrics used in the collection, yet the difference between the pairings complement not challenge one another. 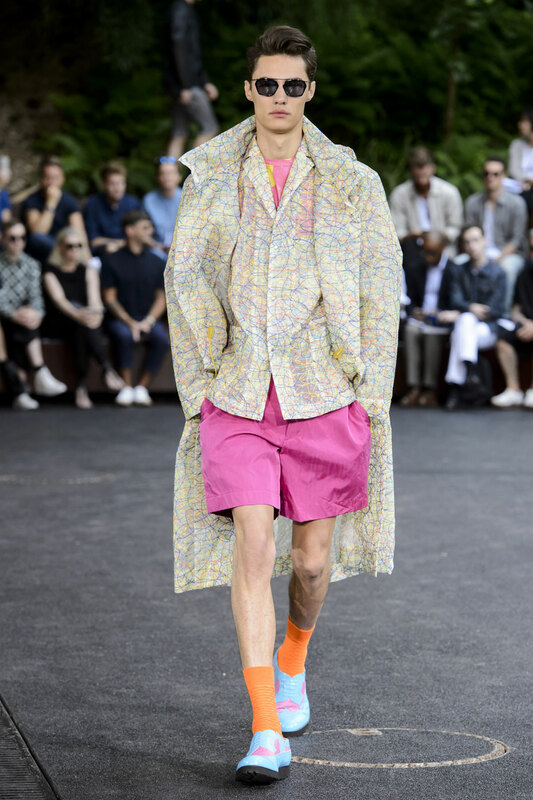 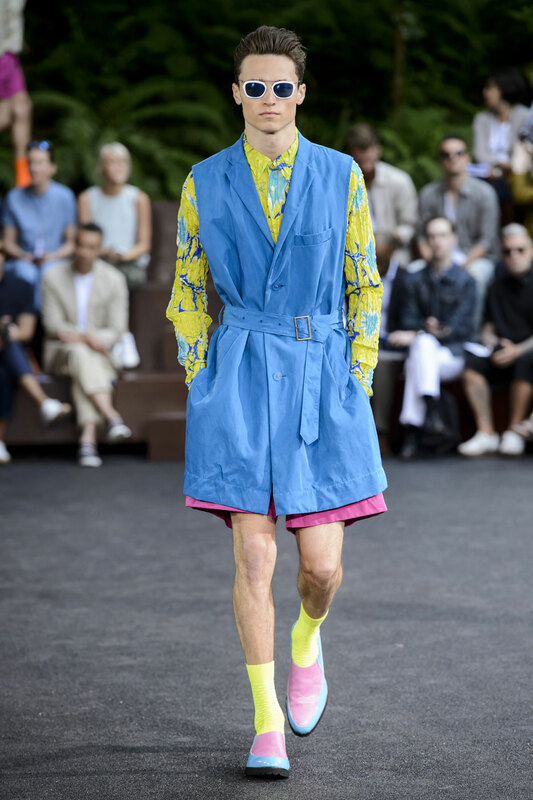 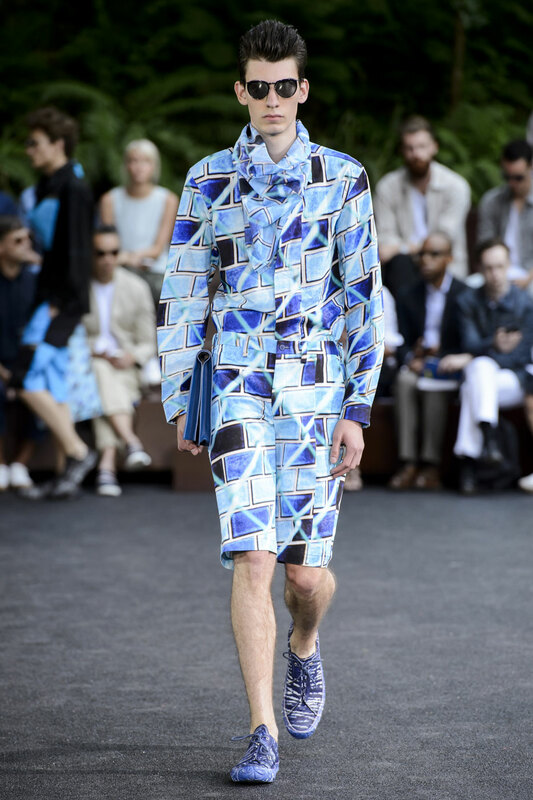 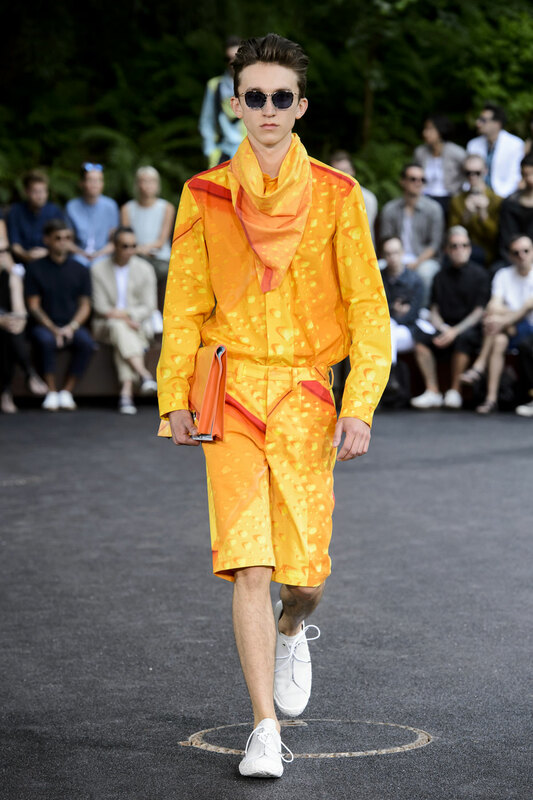 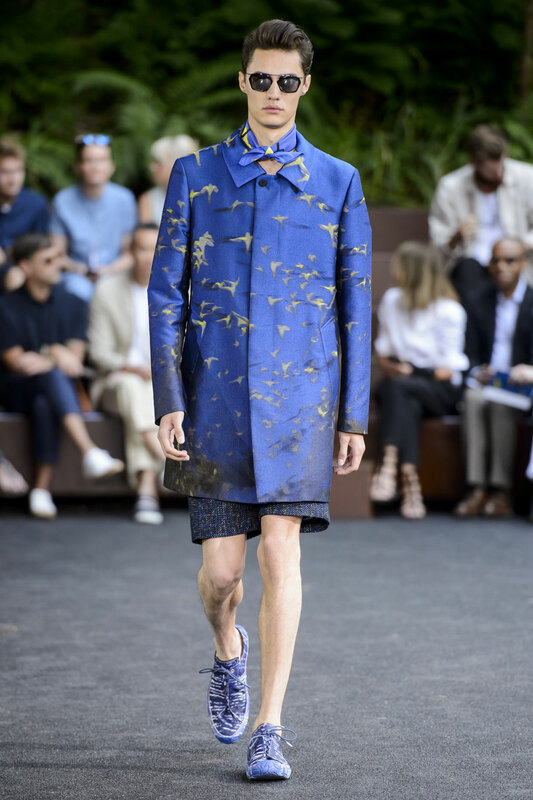 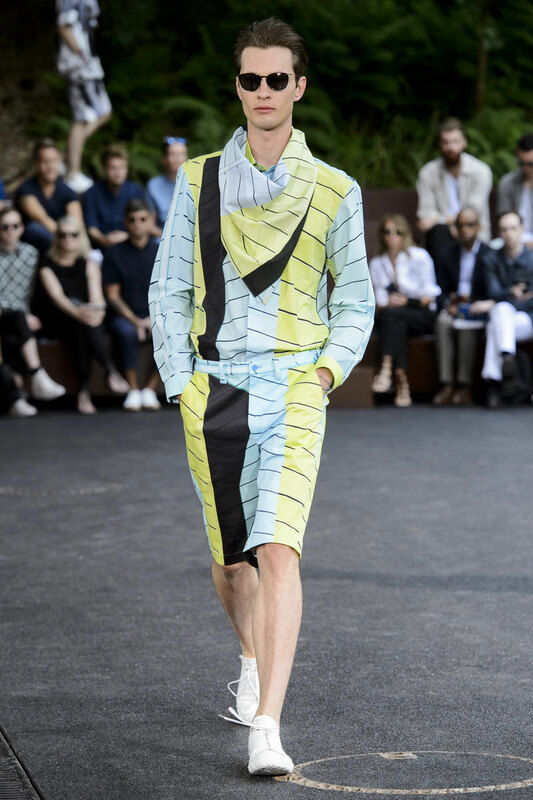 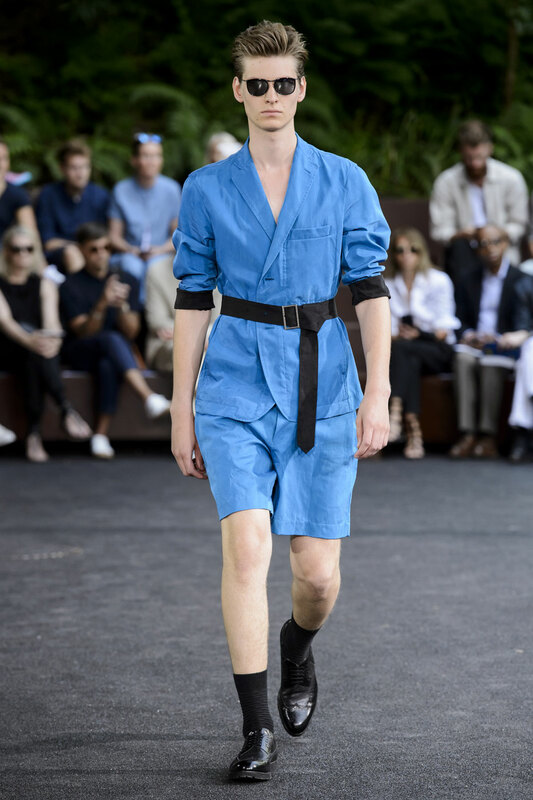 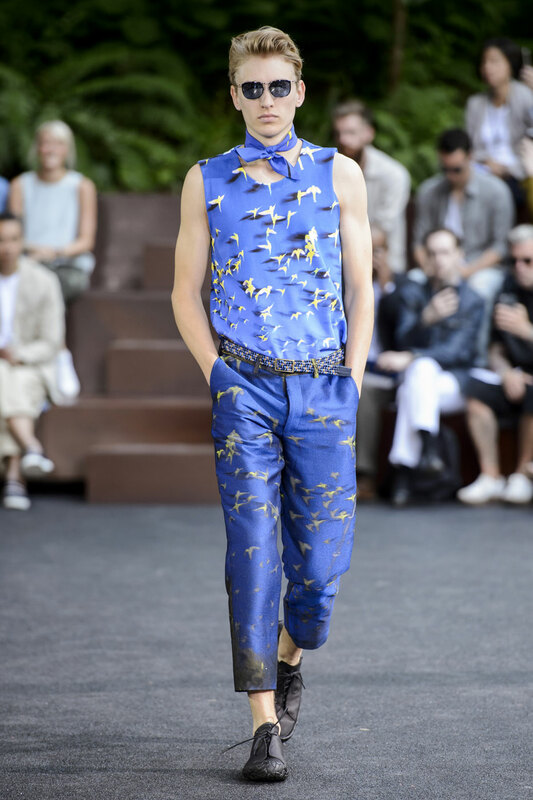 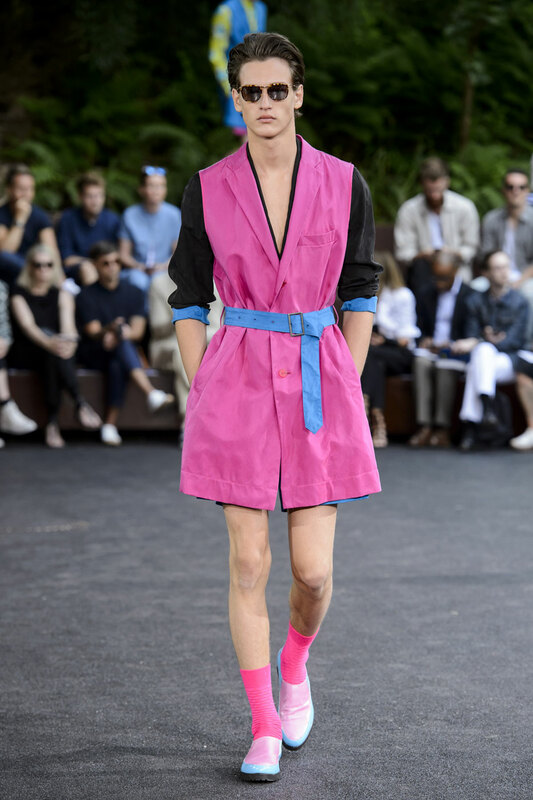 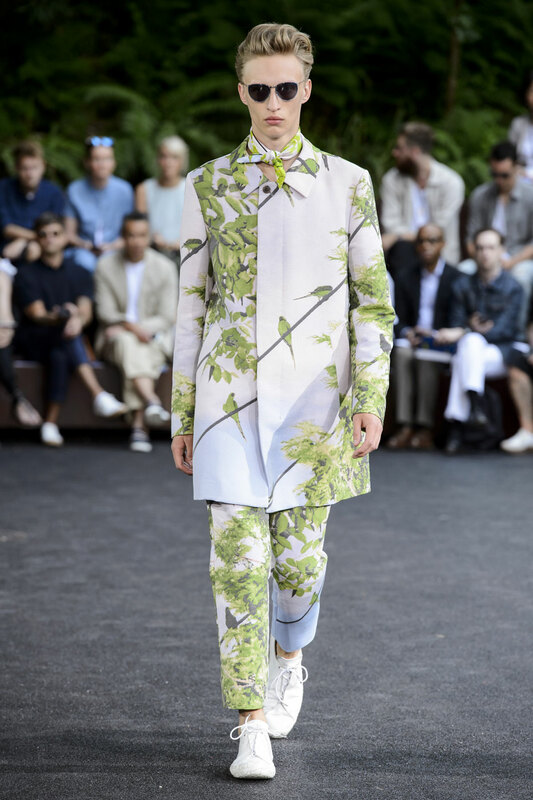 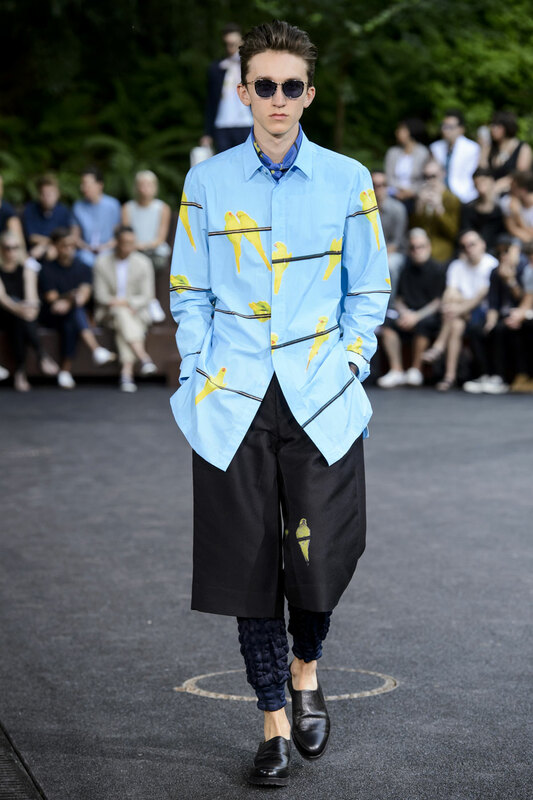 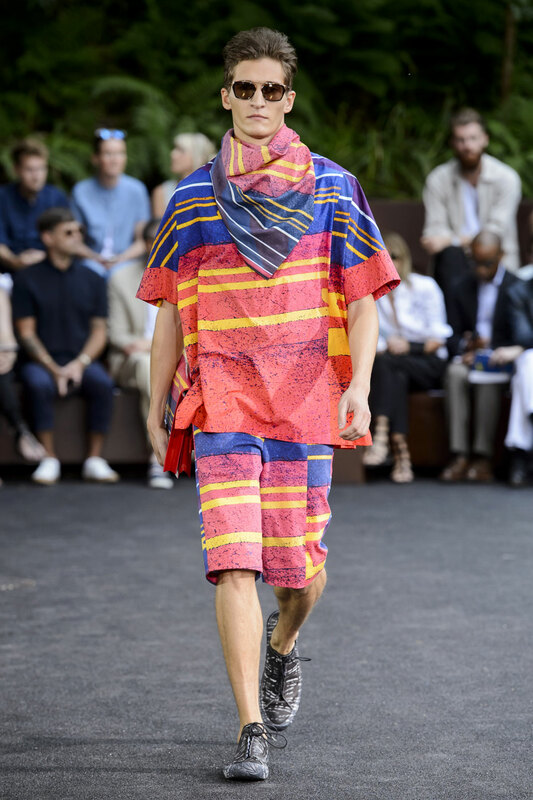 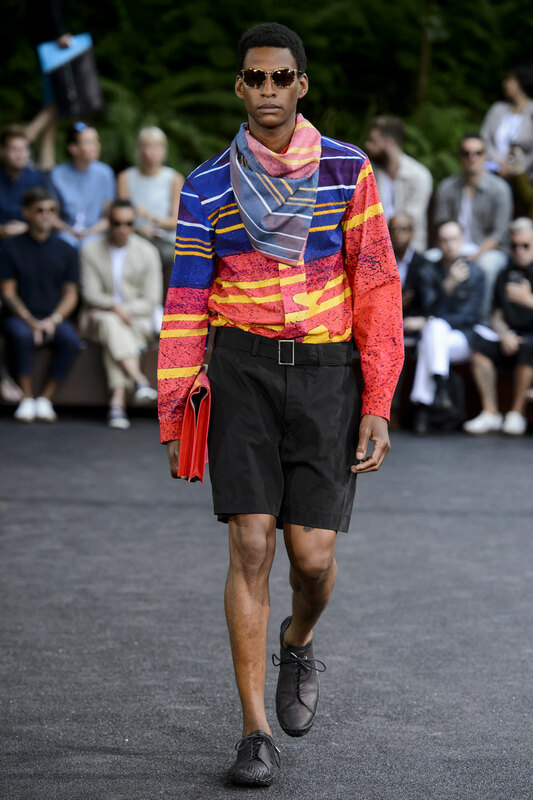 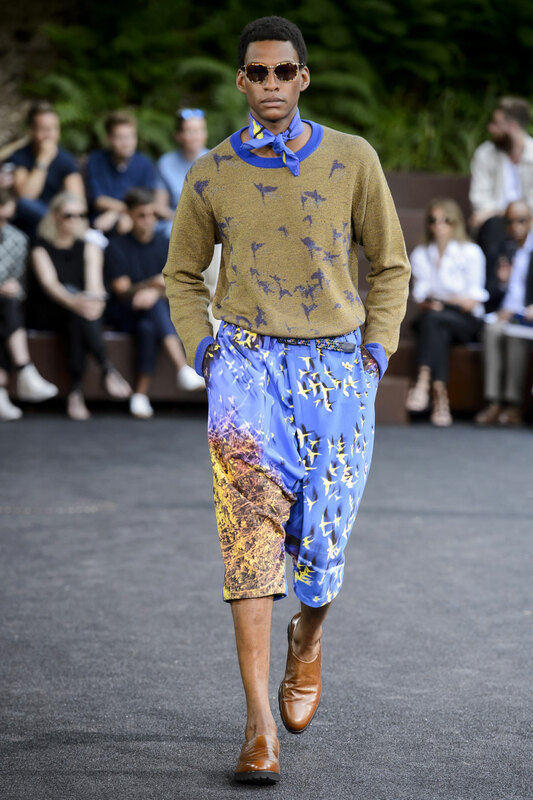 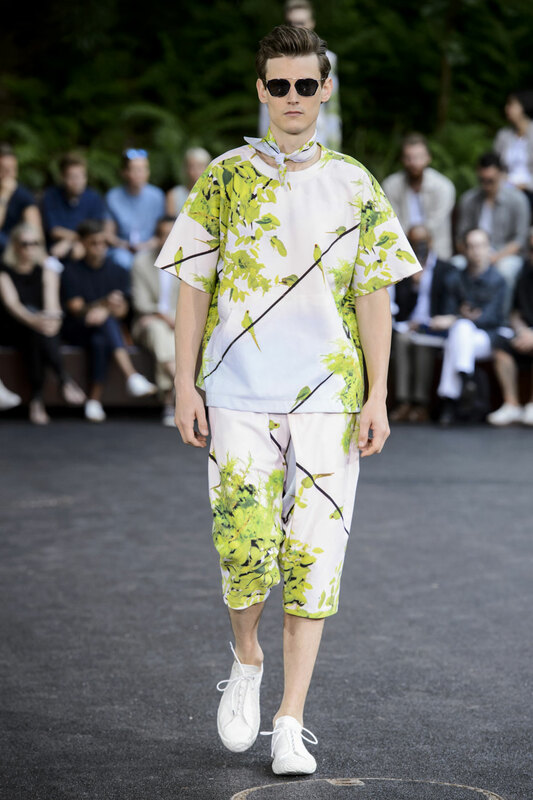 This could not be a review of the Issey Miyake collection without highlighting the parrot prints that take centre stage in this show, they range in colour, size and amount, adding to the spring/ summer essence and complementing the vibrant colour scheme used.